AdWords is one of the top tools offered by Google and is used extensively. It is important for users to be aware of all the different features which it has. Regardless of the kind of expertise you may have regarding this tool, there are various features which could be of immense help, but remain largely unused. 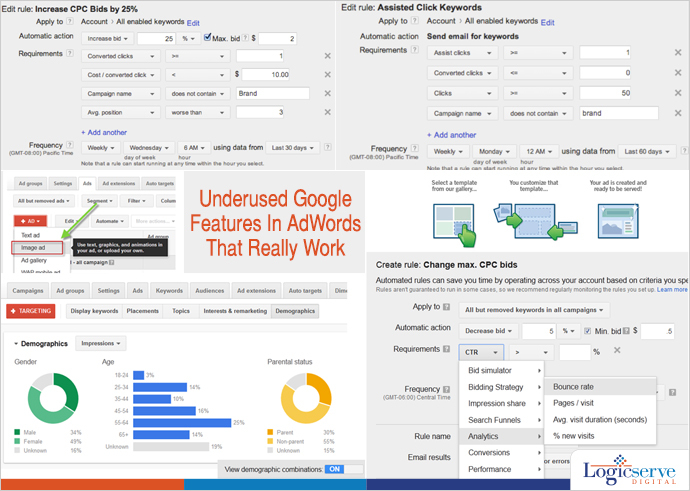 Here are some of the top features you should be acquainted with so that you can extract the most out of AdWords. When you are posting an ad, it becomes extremely important to be sure that you do it in a way that it will engage the readers. The display ad builder is one such tool that allows you to make some of the best ads and that too for free. This tool allows you to make some of the most professional ads and that too in record time. You have innumerable templates and even fonts, images and colours as well. 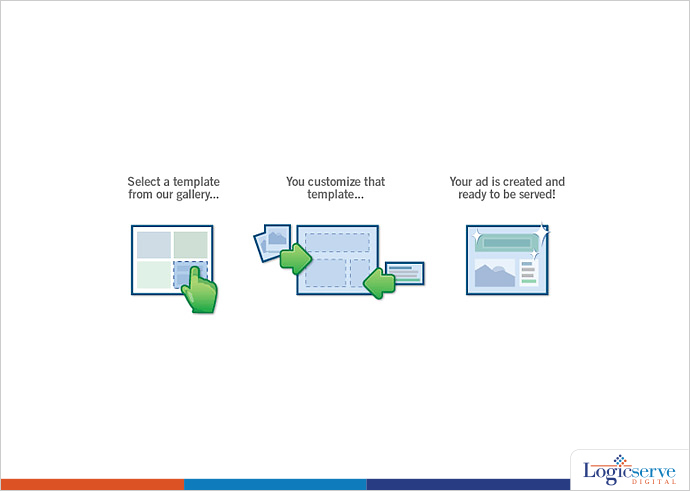 Even when it comes to updating existing ads, you can make the changes with ease. We are all aware of the kind of importance which targeting demographics have when it comes to advertisements. By keeping an eye on your target market and the overall demographics, you will be able to make the most out of your ads. 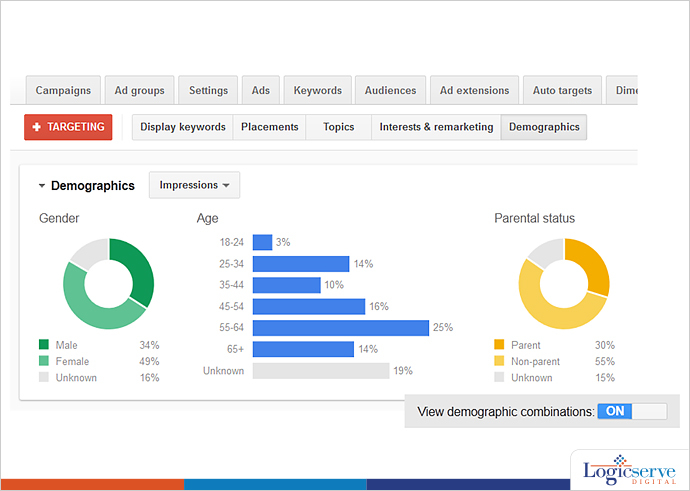 Recently, Google AdWords rolled a new update which allows you to target the demographic results in a much better manner. You can layer the different categories and based upon the results you get, you will be able to find the apt target base and the segment of end users which is offering the best returns to you. Many a times, it may so happen that you do not have the time to access your AdWords account. However, to make the most out of the situation, it becomes crucial to implement the changes immediately. This is when automation comes into play. 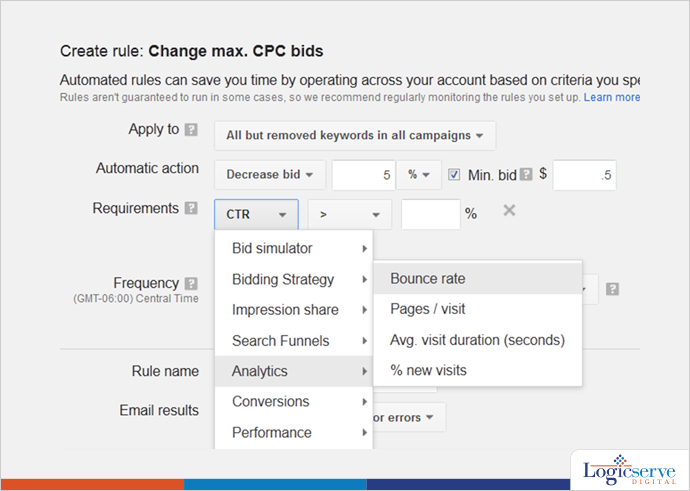 AdWords offers you the best automation features which you could ask for. 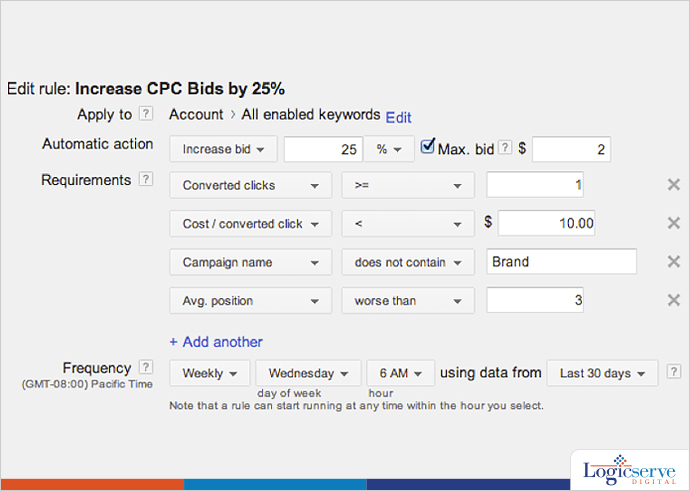 Based upon the settings or even triggers that you choose, you will be able to change the status of your ad, budget, the bids you get and a lot more. This feature makes the whole process very dynamic and it is sure to help you in controlling the different aspects of your ad. You will find an automate button in your account and merely by using this button, you will be able to control the settings and configure your account without being bothered about every specific details. It brings about a lot of flexibility and adds the dynamic touch as well. When you are using AdWords, no doubt, there is a lot of data you are involved with. AdWords tool offers you the provision to make plenty of different types of report like the top movers report and even segment by distance report. These reports will give you a clear insight into the details of how effective your campaign has been. With the right details and statistics, you will gain from these reports; you will be able to make the most out of your campaign. You can customize the tables and implement the right rules by making the most out of it. 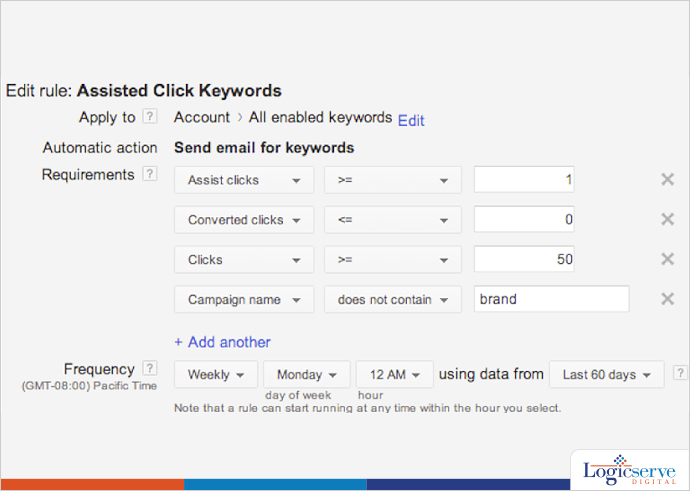 These are some of the best features offered by AdWords which one should tap to ensure that they can get the best out of this tool. As Digital Account Managers, we try our best to optimize the campaigns putting in right amount of technical and market skills but what forms the crux of expert digital marketers is the use of the advanced features. The above illustrated advanced features will definitely help you evolve in your overall campaign performance and reporting methodologies. Previous Post: Will GOSF 2014 Deliver vis a vis Black Friday 2014 Trends? Being in the online marketing space for about 10 years, I am a part of numerous campaigns. My experience and expertise have assisted me in identifying opportunities and scaling them across various online channels. Achieving their metrics, goals and objectives have been a key outcome. I work as AVP, Online Search Marketing at Logicserve Digital.